We work for our customers' brand. Safety: Working safely is how we do it. 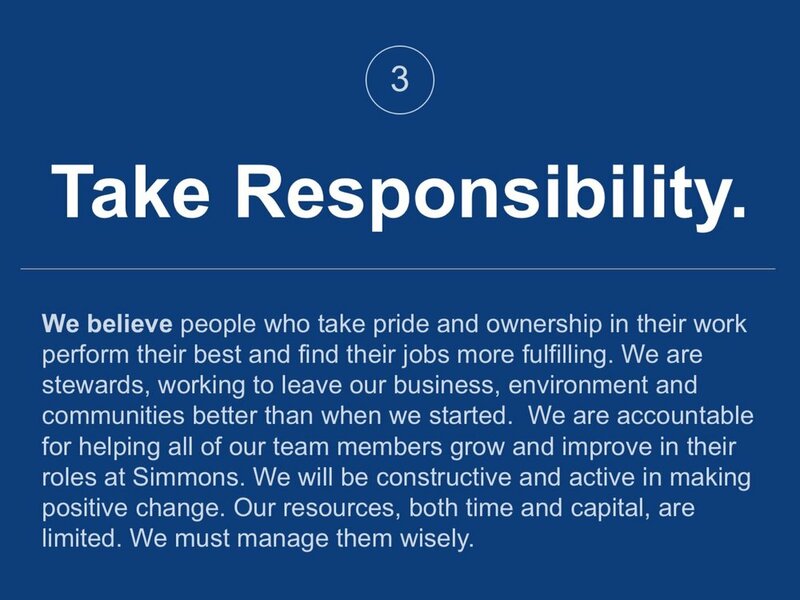 We believe we’re doing the right thing by creating an environment where employees can do their best, most productive work. 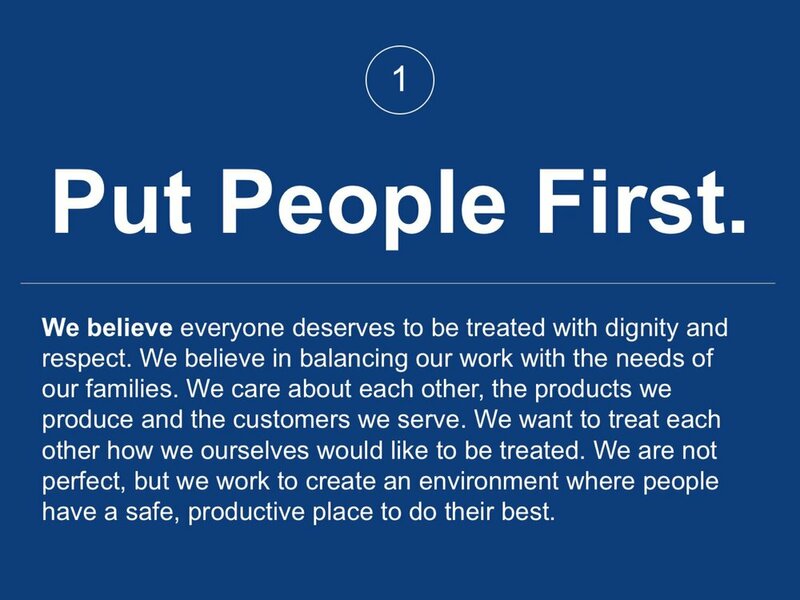 We value our employees and believe everyone deserves to be treated with dignity and respect. Our workplace culture is guided by our Core Values and No Fear philosophy. Pictured Right: Safety and operations survey a new building site to ensure that even during construction, the safety of the operation is top of mind. Lean: A little better everyday. Total Rewards: So much more than pay. Each of us wants to be part of an organization where we will have great experiences in our work, but we are also interested in the pay and other benefits that will help us grow at work and in our lives. The value each of us receives in exchange for our work is often called “Total Rewards”. Total Rewards describes everything we get from our employer that we find rewarding including compensation, benefits, recognition, talent development, performance management and resources to maximize our work-life effectiveness. 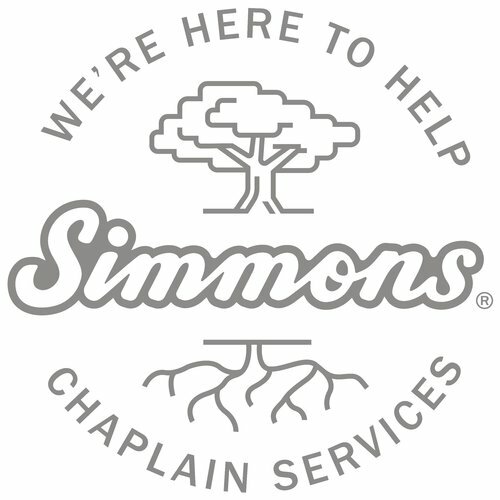 Since 2005, Simmons' Chaplains have been coming alongside and investing in our people. As life happens, we want our team members and their families to know that they have someone they can reach out to for help. Our team has taken our experience in pastoral care and developed this resource to encourage and equip you through whatever season of life you are in right now. We hope you find what you are looking for, and we look forward to connecting with you soon. 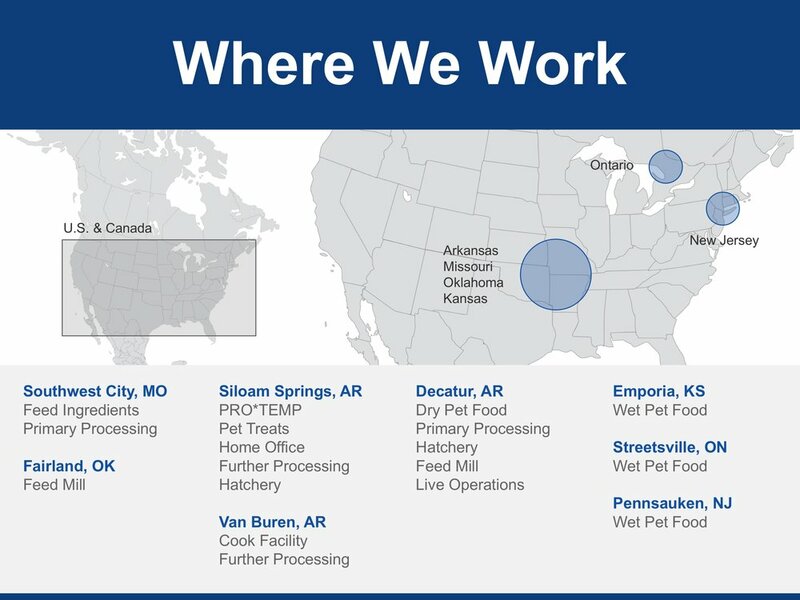 Simmons Celebrates "Simmons Strong Day"
Simmons Foods is a leading supplier of poultry, pet and ingredient products based in Siloam Springs, Arkansas. We work with farmers, communities, and employees to apply our 60+ years of experience to serving customers. 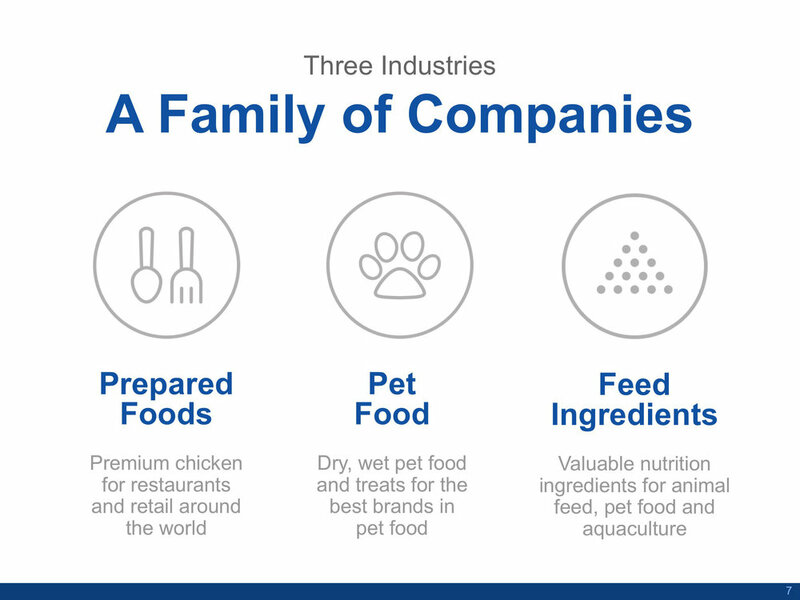 Simmons ranks in the top 20 poultry producers in the United States, is the largest supplier of store brand wet pet food in North America, and boasts an innovative line of proprietary feed ingredient products. 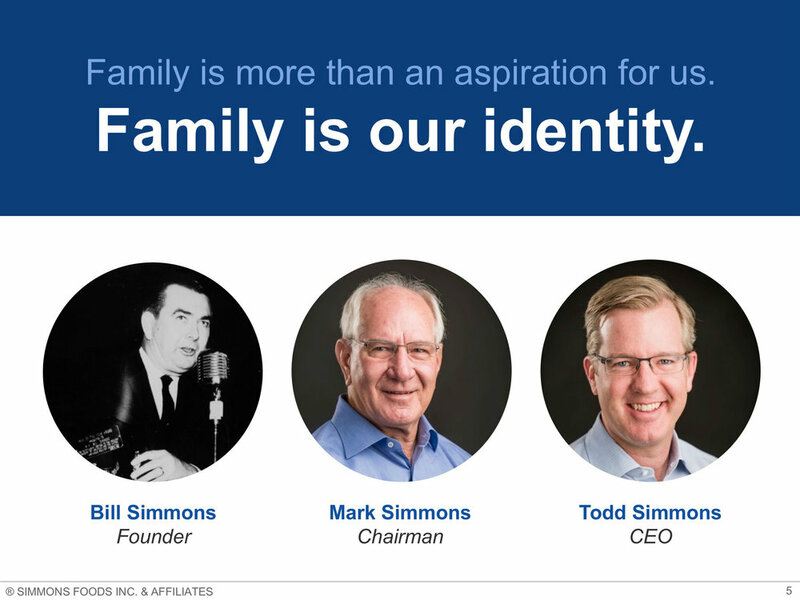 With over 6,000 employees, Simmons serves customers in all 50 states and more than 40 countries around the world. Justin Schultz is a Shipping Receiver at Simmons Pet Food in Emporia, Kansas. Find out what he thinks sets Simmons apart from other workplaces and what he enjoys most about his job.